Doesn’t work as stated. I’ve tried a few ways just in case I overlooked something. iOS 10, iPhone 6. 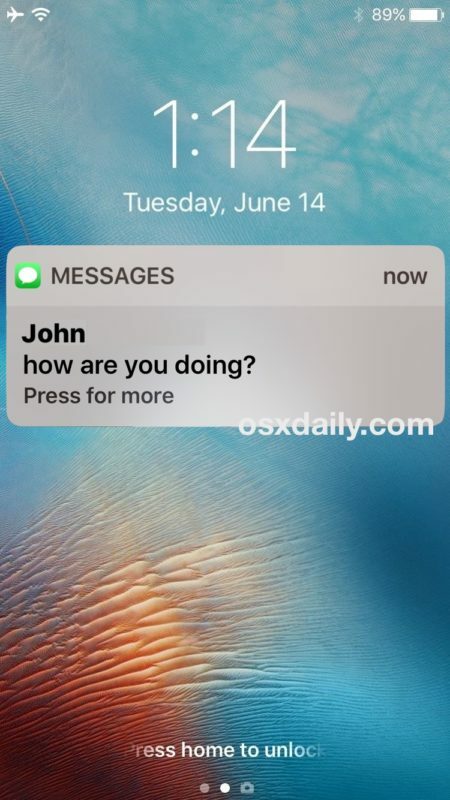 The message will not show on the lock screen. When my finger is placed ( not pressed) on the home button, it simple opens and goes to the messages app. It works exactly as described from me, you must be doing something wrong. 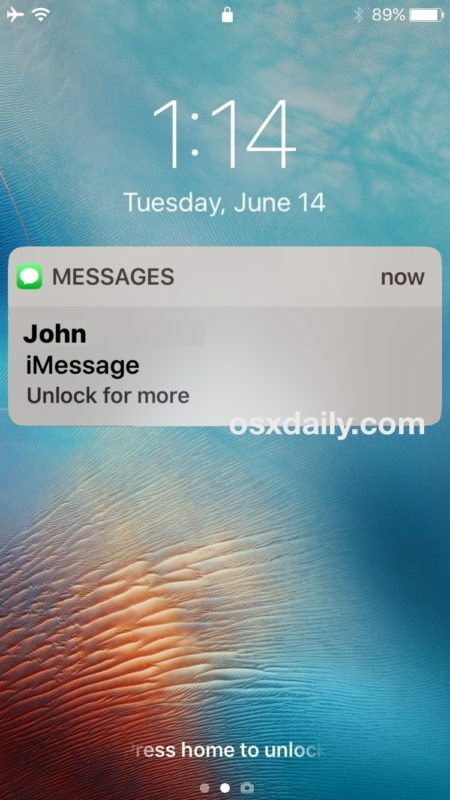 Get the settings enabled properly and wait until you have a hidden message on the lock screen, when it says “Unlock for More” put the finger on the reader and you will be able to read the message on the lock screen like a secret decoder ring. Like I said , I did all and it just opens to the messages app. I double checked the settings. @Orin …. what do u mean by ” put the finger on the reader ” ?? Rest your finger on Touch ID. Don’t click the button, don’t swipe the notification, don’t 3D Touch the notification, don’t tap the notification. Make sure Rest to Unlock is disabled in Settings, then resting your finger on Touch ID will show the hidden message. Thank you for the tip. It was working just fine for me. but now its not and I can’t make it work back. i’ve checked the settings but with no luck.